Back in December I published a review of/essay on Avatar which received attention as viewers discussed the racial and power dynamic subtexts to the film. One article from io9, entitled “When Will White People Stop Making Movies Like Avatar,” took a slightly different direction than my reading. 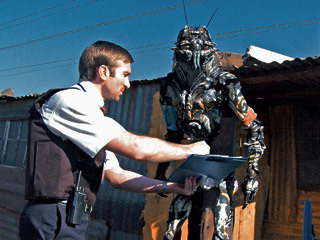 The article’s discussion of films and white guilt mentions several films, including District 9. But they missed an important piece of the film. 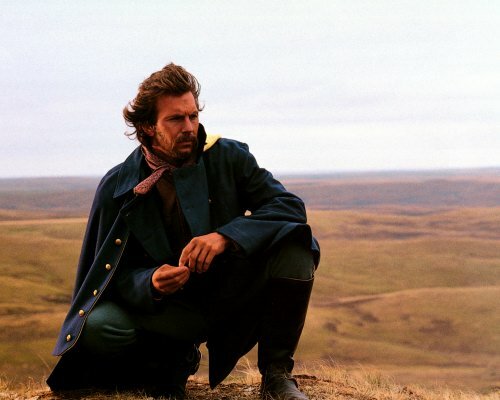 Most white guilt fantasy films include a white male confronted with an alien “other.” Over time, the main character realizes that the “other” isn’t horrific, but human (Native Americans in Dances With Wolves) or even what humans should be (Na’vi in Avatar, although really, they’re just Native Americans in blue drag). Recognizing the more awesome nature of the “other,” the protagonist defects and fights his own tribe. Wikus stumbles across an alien chemical that physically changes him into one of the prawns. Once MNU finds out, they use him to test alien weaponry (they’ve been trying to test these weapons, but they’re activated by alien touch only) and his father-in-law tells the scientists to cut him up. Wikus escapes and uses cunning and cowardice to try to get a cure from one of the prawns, Christopher. When Christopher is about to be killed by an MNU mercenary, Wikus finally gets around to doing something noble. Lead character Wikus getting a "prawn" to sign relocation papers. Further, the film doesn’t simply cast the white MNU officials and mercenaries as the beasts and the prawns as passive victims; the film highlights Nigerians who operate a blackmarket trade with the prawns. This aspect of the film (showing black and white characters in a bad light) goes a long way toward trampling common cliches. In this film, it doesn’t matter if you’re black or white–both sides exploit the prawns. The message is that Evil knows no race–it knows humanity. Ultimately, what makes the film damn good is Wikus. At the beginning of the film he’s all PR smiles, the Michael Scott of refugee camp relations. We see him, unruffled, setting fire to prawn eggs and getting signatures from prawns who don’t understand the re-location papers–it’s all cool for Wikus. However, mid-way through the film he’s tired and tattered. After his company has tried to kill him Wikus is willing to call the new camps what they are : “They’re concentration camps,” he says with a sigh. In transforming physically, he’s had to re-evaluate himself internally. Still, the film doesn’t show us a smooth trajectory of redemption–the characterization is more complex than that and remains ambivalent. Wikus ends up stealing Christopher’s ship, but gets shot down by a South African mercenary. He runs away to avoid being killed, leaving Christopher to be beaten by the merc. Wikus realizes that his dislike for the prawns does not excuse his own cowardice. This realization is a more mature, thought provoking message than the white guilt fantasy films we regularly see. In other white guilt fantasy films, like Dances With Wolves, and Avatar, one side is humanized at the expense of the other. For example, in Dances With Wolves we see the skinned and mutilated remains of buffalo poached by white men, placed in contrast with the Native Americans’ conscientious usage of the entire animal. When John Dunbar is captured, his former (white) military comrades are depicted as ugly, savage, uneducated men, juxtaposed with characterizations of the Native Americans as intelligent, gentle people. So when Dunbar is saved by his new Native American brothers, we root for the killing of the white men. What was once our tribe is now the “other;” and through this shifting “otherness,” murder/revenge become morally acceptable. 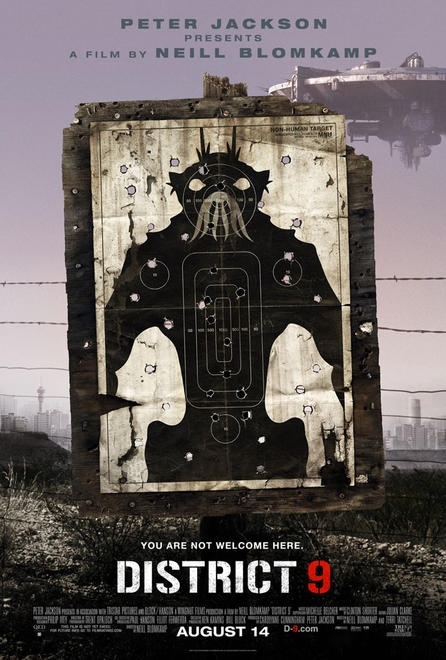 This may sound like splitting hairs, but this distinction is what makes District 9 a great film, not just another romp through well worn cliches. This entry was posted in Articles and tagged Cinema, District 9, Essay, Film, film analysis, Movies, race, Sci-Fi, white guilt. Bookmark the permalink.